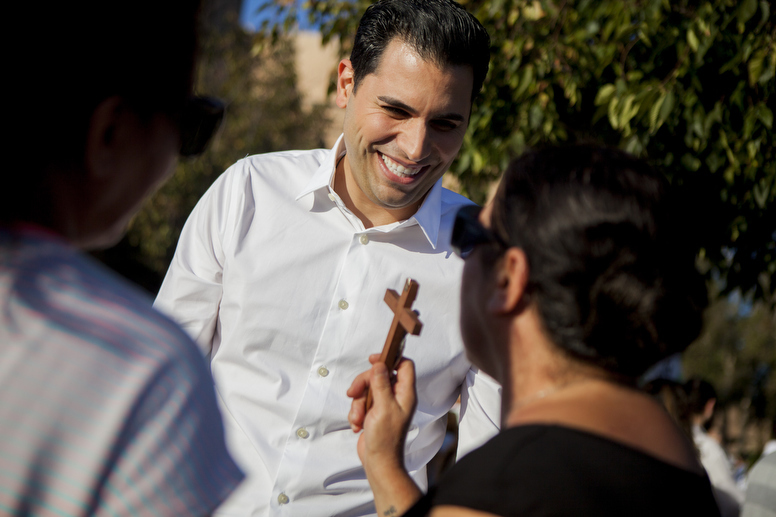 The NMA board was never misled by Mark Arabo, despite a lawsuit claiming otherwise. The Neighborhood Market Association has been embroiled in a lawsuit with three of its members since 2015. The suit accused the NMA board of terminating the membership of one of the plaintiffs, and of making improper payments to its president, Mark Arabo, related to one bonus and one reimbursement. On behalf of the NMA board members, I would like to make clear the role of the board and respond to the plaintiffs’ allegations. Arabo has worked for the board since 2008, and any actions he made as president of the association were at the request of the board. Every NMA board member would have appreciated the opportunity to testify in this regard, but unfortunately most of our board members were restricted from taking the stand in court to discuss our role within the organization. We have never been misled and have always received full disclosure by Arabo concerning his dealings. We are a group of some of the most successful businessmen in the county who have received the support of our peers in the form of board elections. The idea that any amount of Arabo’s bonus, employment contract or subsequent Refined Management Inc. contract came as a result of misrepresentation is quite simply untrue. We disagree with the judge’s ruling, which is why we are appealing. If something does not sit right with the board, we can simply force Arabo out of the organization. Additionally, if the board makes a decision that is improper, the NMA members have the ability to vote us out. It is a simple democratic system that resulted in the plaintiffs being voted out a few years ago. The truth of the matter is that the plaintiffs can seek leadership within the NMA by no means other than brute force. Their lawsuit was a last-ditch effort to gain some semblance of control over an organization that the membership did not believe they could run. They had a chance to run the NMA a few years ago. They failed. It seems clear that the plaintiffs have taken a page out of the dictatorial handbook of Saddam Hussein. Perhaps they know that they can never dedicate the time and energy necessary to maintain this organization. Perhaps they know that they will never be voted into leadership positions within the organization. The NMA board is deeply disturbed to see that the courts have facilitated the demise of our board, of our influence within the San Diego and of the NMA as an institutional bedrock within the Chaldean community. This decline has only been hastened by the implementation of the court-appointed receiver, Richard Kipperman, who is responsible for managing the NMA until the election of a new board. Unfortunately, today there is barely an organization. There have been no fundraisers or events by the NMA. The receiver has failed in every regard to maintain daily operations within the organization and to ensure that the NMA is making money. The NMA has received a death sentence by the plaintiffs and the receiver. Since the receiver has essentially kicked us out of our own organization, we have heard absolutely nothing from the organization. We were dumbfounded to hear in a recent court filing that the receiver blamed his inability to raise money on the shoulders of the NMA board members, despite the fact that he froze us out of our positions and prevented us from raising funds. The plaintiffs are going to end up paying the receiver’s legal bills because the NMA doesn’t have the $100,000 that he’s requesting for the first three months of his services. Yet the receiver has placed the blame for not raising money onto the same group of board members that he ousted from the organization, saying their “jockeying for position … made it difficult to plan events.” His accusations are baseless and ludicrous. What’s next? Is the receiver going to blame the NMA board members and Arabo for the homeless issue in San Diego, or the potholes along our local streets? The receiver is driving us into bankruptcy, and we want the San Diego community to know that this hit job has been an orchestrated attack by the plaintiffs through the abuse of our local courts. We want San Diego, and the Chaldean community, to know that the board will seek legal reprieve from the receiver’s destruction and the plaintiffs’ maliciousness should it continue. Raad Attisha is chairman of NMA Program Endorsement Committee. Raad Attisha is chairman of Neighborhood Market Association program endorsement committee.